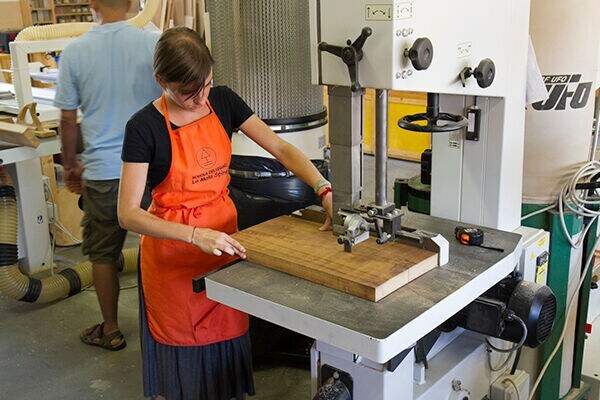 "Redesign your future" contest prizes awarded: the winners got to build their first wooden stool prototype in an actual carpenter workshop, with the help of expert craftspersons and making the most of the outstanding potential of SCM machines. They had always dreamt about it until they actually got to do it - thanks to the clever supervision of expert master carpenters. "Redesign your future", a free of charge contest open to all young designers, organised by the magazine Legno Lab and sponsored by SCM, was created with the aim of collecting design projects and offer a great opportunity to the top scorers: to actually give shape to and build their own projects, directly at a carpenter's shop. An important objective for SCM - which has always had among its core values the promotion of craftsmanship and the teaching of technical know-how to the young generations. "Don't be a fool, make your stool" was the title chosen for the 2017 edition, the third for the contest; the young participants, divided into two categories (under 26 and over 26), were asked to submit an own-design stool. The competition announcement did not specify any size, colour and type requirements: the only pre-condition was that the project had to use wood as the main material - although not exclusively. 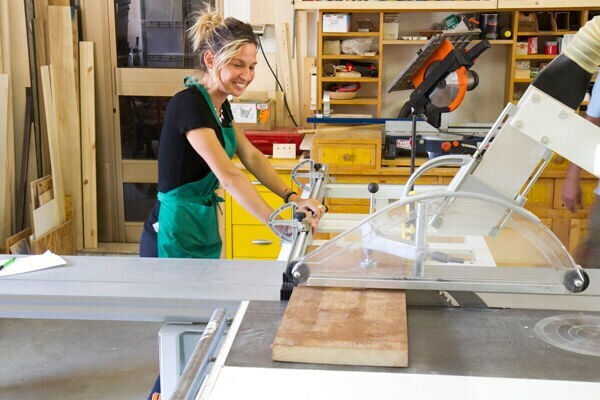 The winning designers had the opportunity to create a first prototype on a 1:1 scale with the support of Legno Lab craftspersons, during a seven-day workshop at La Mala Spina School, in the Viterbo area. In this space, fully equipped with traditional woodworking machinery and tools supplied by SCM, the young contestants were able to try their hand at all the different stages of woodworking (processing both solid wood and panels) and move from the design stage to the end product stage. 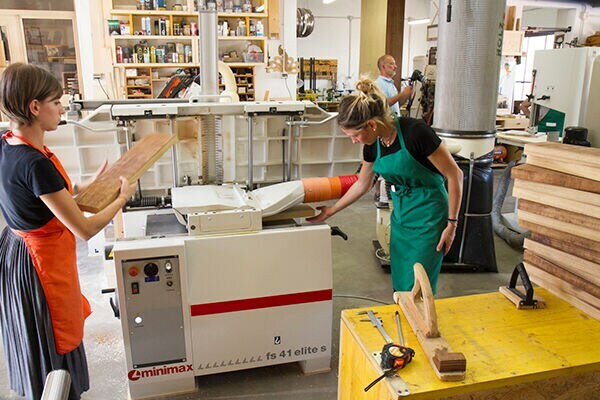 Under the guidance of skilled experts and with the help of the Legno Lab school, the young designers carried out their own carving, sawing, sanding, and edgebanding, making the most of the exclusive features of the Minimax range, specifically the ST 4E, FS 41ES, S 45N and S 600P versions. The contest winners were able to combine their creativity with SCM technology, designed for the most diverse needs in the carpentry business, and with the mastery and craftsmanship of joiners: the result was an own-designed, own-made wooden stool, and most importantly, valuable knowledge acquired in the process, which will be precious for their future projects. Talent, however, is not enough without the right dose of visibility. This is the reason why Legno Lab showcased the winning projects in its own magazine, illustrating in a special feature the unique prototyping process, and the opportunity to present one's creation at the 2017 Source - Self-made design exhibition in Florence.